A triumph of form and function, TimeStand comes in Silver or Black. No one needs a stand on which to place a watch. 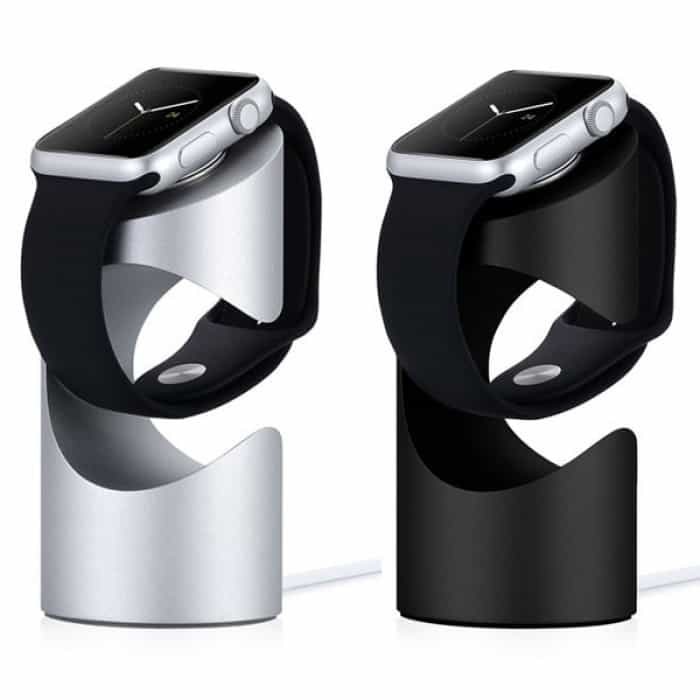 But, when the timepiece in question is Apple Watch, we tend to embrace accessories that showcase its design style. We bring you a solid little charging stand that combines beautiful form and function with a compact footprint. 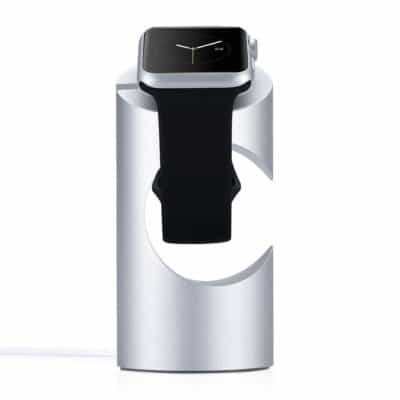 The TimeStand Charging Stand by Just Mobile is akin to a tiny sculpture for your desk or nightstand to proudly display (and, charge!) your Apple Watch. 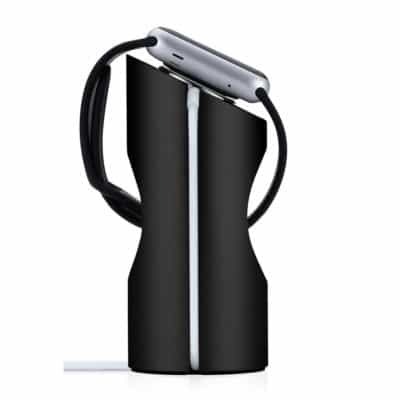 Just Mobile again hits all the marks in fusing function and design with this charging stand. We’re excited to feature the TimeStand in our Watch Store alongside Just Mobile’s Lounge Dock and HoverDock. Precision-machined from a single cylinder of high-grade aluminum, its distinctive circular cut-out gives TimeStand a dramatic profile even when empty. A recessed groove down the length of the stand keeps the cable in place all while being perfectly incorporated into its design. Attention to detail is on point: While TimeStand is solid on its own, a weighted and rubberized base is added to keep it in place and from scratching any surface it’s on. Even the circular charging cable recess at the top is rubber-lined, preventing any scrapes and scratches to your cable. The design-award-winning TimeStand packs a big punch in its small size: It stands about 4-inches high and 2-inches wide. Just Mobile provided Cult of Mac with a review unit for this article. See Cult of Mac’s reviews policy; and check out more stuff we recommend in our Best List reviews.